The building that houses the All-Russia Museum of Decorative, Applied and Folk Arts is the 18th-20th centuries National Heritage Trust architectural ensemble. Since 1786 it was known as Count Ostermann House, his town residence. The Streshnev family were the first owners of this estate, dating back to 1660 and the house used to be called "The Streshnevs vegetable garden". By 1739 the estate had passed to Vasily I. Streshnev (1707-1782) and the first stone buildings were added, transforming the manor-house into "one of the most magnificent houses in Moscow" with a typical Russian estate layout  two-storey chambers set back from the main road with ancillary buildings in the lane leading to Ubogiy Dom. Later the lane was named Bozhedom and now it is called Delegatskaya street. 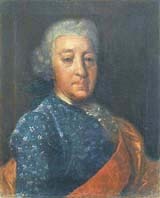 Ivan A. Ostermann (1725-1811), Vasily Streshnev's nephew, who inherited the estate in 1782, immediately started its reconstruction. It resulted in the present appearance of the house  three-part-plan estate layout with the three-storey manor-house, two-storey extensions and two semicircular passageways leading to the backyard. The courtyard (cour d'honneur) was embellished with two decorative ponds. The beautiful romantic garden laid out on the other side of the palace became very popular with the visitors frequenting Count Ostermann's house. The architect's name is unknown though he could be of the Kazakov school. 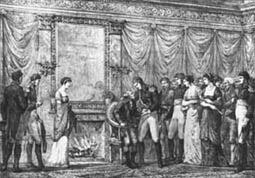 In November 1809 Russian Emperor Alexander 1 was an honoured guest at the manor-house on his way from the town of Tver. 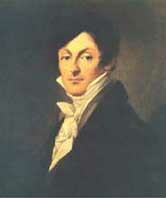 Having no children Ivan Ostermann passed the estate to A. Ostermann-Tolstoï (1770-1857), the only heir bearing the family name. In his will he insisted that the mansion should always be known as "Count Ostermann House" and never be let or sold. Being in military service Ostermann-Tolstoï infrequently visited his Moscow mansion and eventually decided to sell it before leaving Russia, failing to observe his granddad's wish. 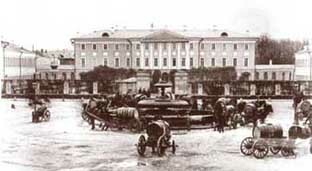 It was then that Emperor Nicholas 1's attention was drawn to the Ostermann House as a potential home for the Moscow Seminary which was looking for more accommodation. At the end of 1834 the estate changed hands and during the next five years its destiny was in the hands of architects considering various reconstruction projects including possible demolition of all current buildings. The decision was to restore rather than replace, keeping the attractive outlines of the Moscow estate intact. The contract was granted to A. Shchedrin, the Synod architect of St. Petersburg. The same delicate attitude towards the Ostermann House was maintained throughout the years with all new buildings harmoniously incorporated in the original 18th century ensemble. In 1949 the tallest building was added after the Russian Federation Presidium for Council of Ministers took over. It was placed next to the former Seminary Dormitory adjacent to the old park where tall mature lime trees obscured its height. The years have taken their toll on some of the ancillary buildings, the Delegatskaya street is unrecognizable, the decorative ponds have disappeared and the old park is now smaller and yet we still admire the 18th century Moscow estate with the elegant classical manor-house, now an architectural monument.